For extreme conditions: the sleeping bag. 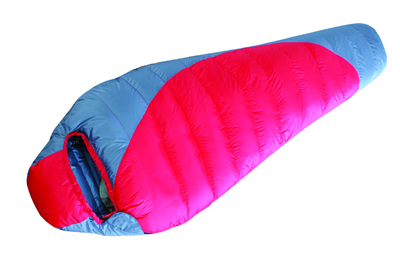 Couple Sleeping Bag is highly water-repellent and windproof and has a comfort rating of up to –15 °C. The 600 g down with a 90/10 mix and 600 cuin fill power guarantees the best thermal insulation. Vertical and trapezoid fill chambers, sidewall chambers and a zip-free construction ensure optimum heat retention. Collar, sleep surface and hood and footbox are especially warmly insulated. The thermal collar and the Eskimo hood completely surround the face. 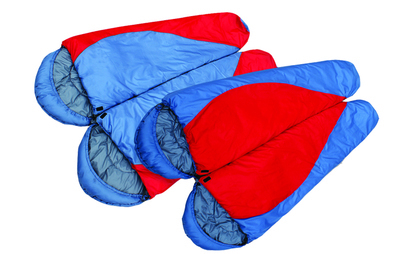 Looking for ideal Junior Sleeping Bag Manufacturer & supplier ? We have a wide selection at great prices to help you get creative. All the Double Mummy Sleeping Bags are quality guaranteed. We are China Origin Factory of Couple Sleeping Bag. If you have any question, please feel free to contact us.